With the calming sound of trickling fountain water and the cozy candle lit atmosphere, we are sure our massage therapists will melt away your stresses. Why Use Our Massage Therapist? If indicated, our massage therapist will request a computerized muscle scan, which will further assess and help pin point the location and cause of your symptoms. This advanced evaluation tool will assist your therapist so that you may receive the best massage ever! Our massage therapists are under the direct supervision of our health care providers (medical doctor, chiropractors and physical therapists). 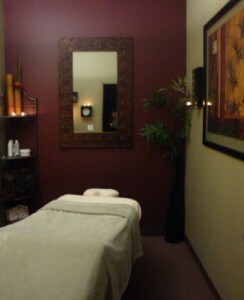 This will ensure that you will always receive massages of the highest quality and professionalism. Your insurance may cover massage! Our wellness facility accepts all PPO and POS insurance plans. Give us a call and we will do a complimentary benefits check to see if your insurance will cover your massage! Deep Tissue massage is designed to relieve severe tension in the muscle and the connective tissue or fascia. This type of massage focuses on the muscles located below the surface of the top muscles. Deep tissue massage is often recommended for individuals who experience consistent pain, are involved in heavy physical activity, and patients who have had an injury. Sports massage is geared toward athletes of every kind, from world-class professionals to weekend warriors. The particulars of this type of massage are specific to the athlete’s sport and are often focused on a particular troublesome area like the knee, hamstring or shoulder. Aspects of massage are gaining popularity as useful components in a balanced training regimen. Sports massage can be used as a means to enhance pre-event preparation and reduce recovery time for maximum performance during training or after an event. Sports enthusiasts have discovered that regular sports massage promotes flexibility, improves energy, helps prevent injuries, improves endurance, and prepares them to compete at their absolute best. Myofascial release refers to the manual massage technique for stretching the soft tissues and releasing bonds between fascia and muscles with the goal of eliminating pain and increasing range of motion. Myofascial release usually involves applying shear compression or tension in various directions, or by skin rolling. Swedish massage uses a combination of long, flowing strokes. The basic strokes are effleurage (sliding or gliding), petrissage (kneading), tapotement (rhythmic tapping) and friction (cross fiber). Swedish massage has shown to be helpful in reducing pain, joint stiffness, and improving function in patients with osteoarthritis. It has also been shown to be helpful in individuals with poor circulation. Trigger point therapy – This specialized massage involves deactivating trigger points that may cause local pain or refer pain and other sensations, such as headaches, in other parts of the body. Manual pressure and vibration are applied to these points to relieve myofascial pain. Trigger points were first discovered and mapped by Janet G. Travell (president Kennedy’s physician) and David Simons. These points relate to dysfunction in the myoneural junction, also called neuromuscular junction (NMJ), in muscle, and therefore this modality is different from reflexology, acupressure and pressure point massage. Pregnancy Massage – Designed to give relief to the special needs of the mother to be. Enjoy a comforting and soothing experience during this period of change. This specialized massage will help relieve weight-bearing aches and pains, increase circulation and reduce swelling while relaxing yourself and the baby, too. 1 Currin, J. Meister, E.A. (2008) A hospital-based intervention using massage to reduce distress among oncology patients. Cancer Nurs. 31(3):214-21. Click here to read more. 2 Preyde M. (2003) Effectiveness of massage therapy for subacute low back pain: a randomized controlled trial. Journal of Soft Tissue Manipulation, 8, 4 – 10. 3 Perlman AI, Sabina A, Williams AL, Njike VY, Katz DL. (2006) Massage Therapy for Osteoarthritis of the Knee. Arch Intern Med. 166(22):2533-8. 4 Piotrowski, M., Paterson, C., Mitchinson, A., Kim, H. M., Kirsh, M., Hinshaw, D. B. (2003) Massage as Adjuvant Therapy in the Management of Acute Postoperative Pain: A Preliminary Study in Men. Journal of the American College of Surgeons, 197(6), 1037-1046. 5 Zeitlin D, Keller SE, Shiflett SC, Schleifer SJ, Bartlett JA. (2000) Immunological Effects of Massage Therapy During Academic Stress. Psychosomatic Medicine. 62(1):83-87. 7 Hernandez-Reif M, Field T, Krasnegor J, Theakston H, Hossain Z, Burman I (2000). High blood pressure and associated symptoms were reduced by massage therapy. Journal of Bodywork and Movement Therapies, 4, 31 – 38. 9 Reader M, Young R, Connor JP. (2005) Massage therapy improves the management of alcohol withdrawal syndrome. J Altern Complement Med. 11(2):311-3. PMID: 15865498. 10 American College of Physicians. (2008) Massage Therapy May Have Immediate Positive Effect On Pain And Mood For Advanced Cancer Patients. Science Daily 16 September. http://www.sciencedaily.com/releases/2008/09/080915174534.htm. Research indicates that a 15-minute chair massage results in decreased job stress, increased alertness and increased speed and accuracy on math computations. Office workers massaged regularly are more alert, perform better and are less stressed than those who aren’t massaged. 90% of all visits to primary care physicians are for stress-related complaints. By taking a pro-active approach, your company can actually be saving money on costs related to job stress such as: employee turnover, diminished productivity, absenteeism, and waning morale. Periodic visits by trained therapists will help keep you and the employees at your company healthy, happy, and stress-free! Call (858) 547-8913 to schedule in office chair massages for you and your employees at a reduced group rate!